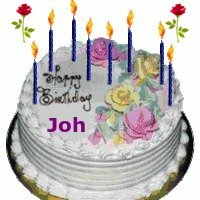 - - - - - - - - - - - - - - - -- Best Wishes, JOH! Thanks so much for the birthday wishes and the fabulous posts, I had a great day with the family, (which was the best part) and I got cake and candles! And an elephant hook from Sally!